Account settings: This is where you can change things like your email address, your email notification settings, password, and more! Activity manager: See a more in-depth view of what your team has been up to on the site. You can filter down to a certain person, topic, or type of post. Activity report: Generate an Excel spreadsheet based on the Activity Manager so you can sort and filter to your heart’s content! Administrator: This is the person (or people) that have complete access to the site’s content and settings. They are who you want to contact if you have questions about specific content or site usage. Advanced search: This is how you can perform simple or complex searches to find certain information. Click on the magnifying glass in the search bar at the top of your page to get started! Batch update: Need to make changes to the search labels or membership of several pages at once? Click on the magnifying glass in the Search bar, perform an Advanced Search to bring up your data, and then get started. Calendar: Our shared calendar is how you can schedule time with your teammates or post outside appointments to keep track! It will push forward to outside calendars and you can add them by simply posting on a page (choose “Event” in the Post box) or going to the calendar. Comment: Post a comment on a teammate’s message (or your own if you have more to say) so you can start a dialogue about a topic. Custom field: These turn the site into a database by allowing you to enter specific information for a page, like an account’s ID or employee number. These are customized by the site administrator. Description: Want to enter more than just a client or project’s name? Expand on who they are or what you are trying to accomplish with your team. Email alert: This is how everyone stays in the loop with what’s going on in the site, since we all check our email inboxes multiple times a day anyway. Whenever you post a message, file, task, or event on the site you can have it (even files themselves) emailed to your teammates. Email workspace: Copy and paste these codes into your outgoing email’s BCC section to have your email automatically posted into the site as a message. Saves you time and duplicate work so you aren’t copying and pasting important emails into the site by hand. Event: These are put onto your shared calendar to keep you and your team in the loop for important meetings and appointments. Feature workspace on Home page: Create an important page that you want your team to see first thing? Feature it on the home page so it’s right there! File: You can upload and share a file with your team just by choosing this option in the Post box on any page. You can upload a Word document, PDF, Excel file, or even short movies! 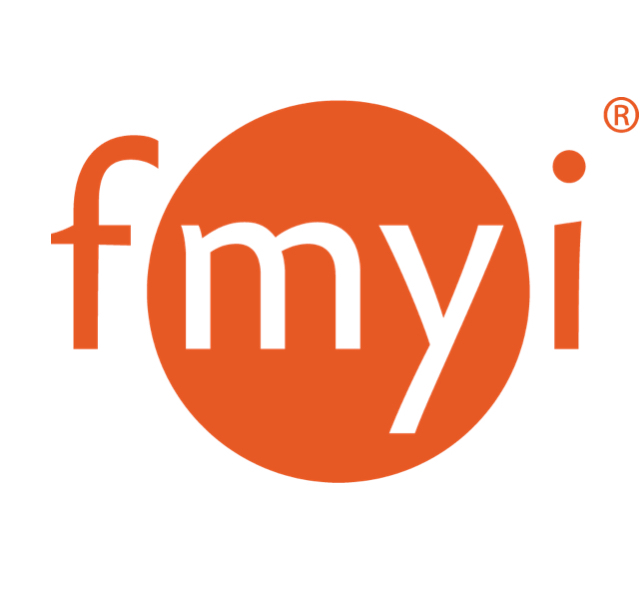 Form (Advanced sites only): FMYI worked with your site admin to create a customized form for you to fill out so certain data could be collected and summarized for your workflow. Form report (Advanced sites only): Data from forms you fill out is collected and presented in an Excel format. General user: This type of access means you can contribute to the site by posting and commenting on pages, unless they are made private and you do not have access. Guest: Think of this access as “window-shopping.” You can’t post, or contribute, to the site but you can see any non-private pages. Home: This is where you can see a bird’s eye view of the site. However your home page is organized, you will be able to easily navigate to where you need to go from here by clicking on categories on the left or your dashboard in the center. Import: Have a list of contacts or businesses you want to import into the site? You won’t have to create them manually if you save it as an .xls or .csv file and import them into the site automatically! Invitation: Send an invite out to your team so they can get started! You can set their access beforehand and customize a welcome message so it’s not mistaken for spam. Latest activity: Like your Facebook feed you can see what your team has been posting on the site. Link: Choose this in the Post box on a page to share an important link with your team. Main calendar: When you post an event and you want your whole team to see it (without inviting them directly) check off this option so it will show up on the Main Calendar. Message: Replace a basic email with a message from the site. You can still send out an email alert if you really want to, but a message on the site will be there forever, not to mention time and date stamped to show your work! Profile: Post up a picture here so your team can but a face to your work and use this page to post info that doesn’t belong on a project or client’s page. Reports: Generate a Site report that is all your pages in a spreadsheet format, or a Status Report to see how your contacts or projects are doing. If you’re using Forms you can also download those in a spreadsheet format here, too! Restricted user: This access allows you to participate in the site, but you won’t have access to anything, even non-private pages, unless you are given specific access. Search label: Assign these “tags” to pages so you can use them as filters in your searches! Site announcement: These appear in a yellow box on the Home page so you can keep your team up to date with deadlines or just friendly uplifting notes. Site report (Contact Report): Export all your pages in a spreadsheet format. This includes page membership, contact info, search labels, and custom fields but not anything posted on the page (that would be so intense!). Site subscription (Admin only): This is how you pay us for this awesome site. It’s an automatic monthly credit card payment through Stripe and you can upgrade at any time! Social network sign in: Don’t want to have to remember yet another username and password? Sign in with your Facebook, LinkedIn, Twitter, or Google credentials to help your brain. Subtitle: This appears under your Page name, above the description. Maybe the client goes by another name or you want to enter their account number here. Task: These appear on the Post box and shared calendar like an event, but they have a due date and you can assign the to other people, not just yourself. Team: Group your site users together so it’s easier to share information with certain departments or groups all at once. Topic: Tag specific posts (Message, file, etc) so you can filter your posts in the Activity Manger or on a single page. Usage report: Generate a spreadsheet to see who has been using the site and how. Page: These are the building blocks of your site. Create a page for a single project, agenda, or contact to get started. Page category: These are how you organize your pages by sorting by type, (e.g. “Contacts,” or “Projects.” These always appear on the left of your page for easy navigation. Page subcategory: These are optional, but if you want that extra organization underneath your categories on the left, go to town!